Personal training can open the door and help anyone achieve the fitness levels they seek to achieve regardless of age, gender, personal fitness levels, experience or lifestyle. Targets can be based around fitness, weight loss, fat loss – body composition. Whether you are new to training and want help to start, or you’re an experienced trainer / sports person looking to take things up a gear, I can help. 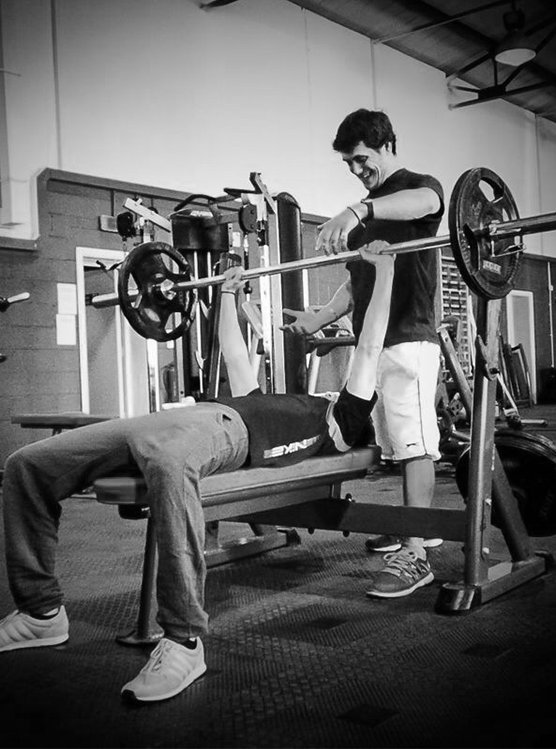 I work with my clients at Cheltenham’s premier gym facility, Trimnasium Fitness Centre. The gym is stocked full of awesome equipment (or toys as we refer to them) to ensure personal training sessions never get repetitive and the body is challenged in various ways. We also have lots of space to utilise as the Trimnasium isn’t over stocked with standard cardio machines. So there is lots of room for our regular bootcamps. You do not require a gym membership to train with me at Trimnasium, so costs are minimised while we look to maximise results. For an insight in to what it’s like to train with me please see the testimonials page. Still unsure? Contact me for some great deals to get you started on some trial sessions.